Graduate in Economics from the University of Barcelona (UB) and holder of a foundation degree in Business Informatics from the Universitat Oberta de Catalunya (UOC). 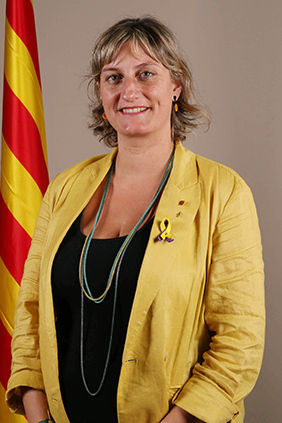 Currently, she is the fourth secretary of the Parliament of Catalonia. She has worked as an administrator in the local office of the Official Association of Commercial Agents of Barcelona in Anoia. In the private sector, she has worked as a junior programmer in the information and communication technology sector, developing software for clothes shop management. She has been head of administration, accounts and finances for the Health and Social Consortium of Igualada (2008-2012), a local public entity that manages various centres for the elderly, including a residential centre, day centres, a day hospital for Alzheimer’s patients, serviced flats, and a home care service for Igualada and the whole of Anoia. Member of Esquerra Republicana de Catalunya (ERC) since 2011, she has been number 3 on the list for the municipal elections in Igualada. President of the local section of ERC of Igualada since 2012. She is Secretary for Health, Welfare and Citizenship for ERC. She was a member of parliament in the X and XI terms (2012-2017).